SATS’ 1Q FY3/19 core profit increased 11.5% y-o-y/24.1% q-o-q, better than we expected from across-the-board growth in its markets, barring Indonesia. Cost control continued to bear fruit with revenue growth outstripping expenditure. Cancellation of its MOA with Turkish Air was an unexpected development and we consequently cut FY19E-21E profits 0.7%/4.7%/6.8% and target price by 4% to SGD5.90 to factor this in. That said, other new ventures are on track and should drive a c13% 3-year profit CAGR. TFK Japan is back to growth with new customers having been secured to compensate for the loss of Delta and Vietnam Air volumes last year. Cargo growth, which rebounded during 2H17, continued to do well. Non-aviation components SATS Yihai Kerry turned the corner earlier than expected and Singapore Cruise Terminal hit scale with increased ship calls. EBITDA margins increased 230bps y-o-y/350bps q-o-q to close to a three-year high, while annualised ROE improved 120bps to 15.2%. The associate profit drop of 1.3% y-o-y was disappointing but this was mainly due to a weak market and a one-off in the prior year in Indonesia; the other key associate markets of India, Hong Kong, Taiwan performed well. Cancellation of the proposed catering venture agreement for Turkish Air was our earlier growth expectations, SATS’ other recent new ventures in China, India, Saudi Arabia and Malaysia markets appear to be either on track or ahead of plan. Food solutions revenue growth of 2.7% y-o-y was driven by TFK Japan reverting back to growth at 3.1% y-o-y after a few quarters of lacklustre performance and around 2.6% growth from other markets. Management also state that the first large scale commercial kitchen in China (Shanghai) under the SATS Yihai Kerry venture was marginally profitable, around a year earlier than expected. Gateway services revenue grew 3.4% y-o-y driven by strong cargo volume growth and improved contribution from the non-aviation segment, i.e. the Singapore Cruiseship Terminal operations. Associate and JV income disappointed somewhat with a 1.3% y-o-y decline which was driven mainly by the weak market and one-off forward revenue recognition in 1QFY3/18 year in Indonesia (which drove the c27% associate profit growth for 1Q last year). The company mentioned that excluding the PT JAS and PT CAS associates in Indonesia, all the other key ventures (AI SATS and Taj SATS in India, AAT in Hong Kong and Evergreen Sky Catering in Taiwan) performed well posting y-o-y growth. It also mentioned that the recent ventures of AIRA GTR with Air Asia for gateway services and the 49% JV for Mumbai international airport’s cargo terminal have started contributing. EBITDA margins grew to 19.3% in 1Q (up 350bps q-o-q and 230bps y-o-y) close to the highest levels in the past three years as the gateway services growth was driven by cargo and non-aviation, both of which are less labour intensive than airline ground handling. Management indicated that while trade-war related uncertainties on cargo volumes could potentially affect SATS, the direct exposure to US- China trade in its consolidated operations was estimated to be quite small (exposure to US-China trade would lie mainly in its AAT associate in Hong Kong). Management remain positive on the medium term passenger traffic growth in the region given the number of aircraft on order with various regional airlines and airport infrastructure expansion works either ongoing or planned in numerous major cities in APAC. On the mutual agreement with Turkish Air to terminate the MOA for catering at Istanbul’s new airport, the company clarified that sunk costs related to proposed venture were minimal and had already been expensed. Management indicated there were a number of other possible investments in the pipeline being evaluated. Management indicate that pricing and margin pressure in food solutions is still prevalent given the various factors of rising energy prices, low airline profitability and food inflation. Volume growth from new customers, markets and continued improvements in efficiency remains the core strategy to mitigate this pressure. Given the lack of detail on structure, pricing, margins, etc. in Turkey, despite the potential size of the market, we had pencilled in rather modest assumptions of profit contribution levels of cSGD18-30m in FY20E-FY21E (see report: SATS - Some Ais Kacang And A Big Bite Of Turkish Delight | SGinvestors.io) which we have now reversed. We have also correspondingly removed cSGD60m initial capex that we had earlier assumed would be spent in FY19E-FDY21E on building the Istanbul flight kitchen facilities. Separately we have modestly increased our expectation of profit contributions by cSGD1-3m annually from SATS Yihai Kerry for FY19E- FY21E-in light of the operations ramping up and turning a profit around a year earlier than what management had expected and guided for. We expect existing operations in Singapore to benefit from some organic growth tailwinds through 2H 2018 from a gradual ramp-up of capacity utilisation in Changi Airport’s new Terminal 4. JV with AirAsia for ground handling in Malaysia with the option to expand to other ASEAN markets. Greenfield cargo facilities being developed in Dammam in the Kingdom of Saudi Arabia. Investment of a 49% stake in JV to manage a cargo facility at Mumbai’s International Airport for 18 years. SATS Yihai Kerry JV, which is a key non-aviation initiative will start and operate a large-scale commercial kitchen in China. Its first kitchen is already operational while the second, in Lungfang, is being constructed. We have cut our Target Price to SGD5.90 from SGD6.10 on the back of the coming 12-18 months from better earnings growth in FY19E-FY21E compared to the past couple of years, driving an ROE expansion of 250-300bps back to pre-GFC levels. 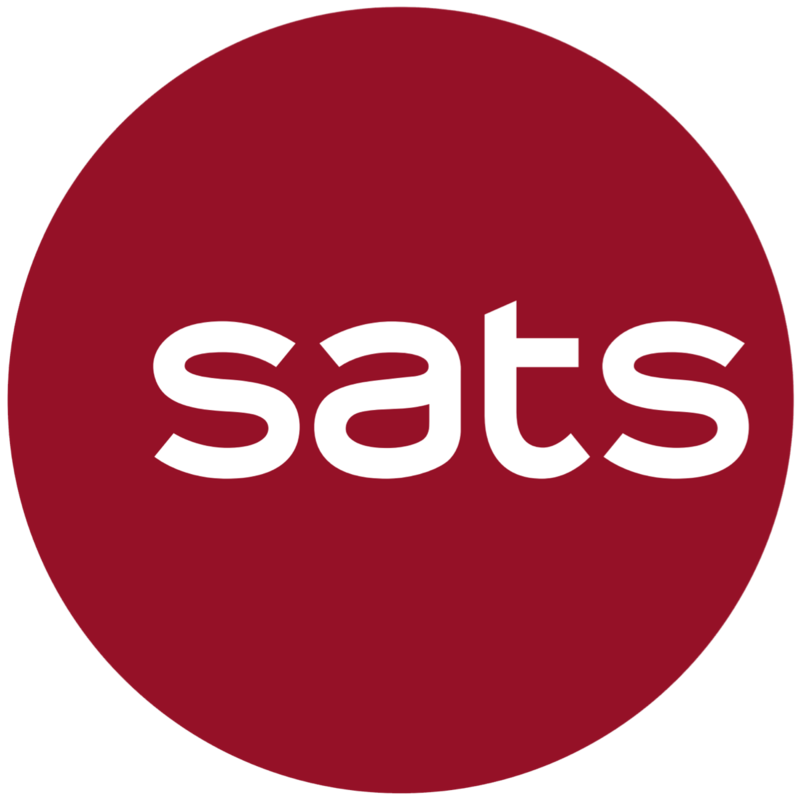 On a calendarised basis, SATS trades at a 2018 P/E of 21x, a 24% discount to the Singapore industrials stocks basket and 7% discount to a basket of international airport and aviation services companies. Material deterioration in airline industry fundamentals that will translate into pricing pressure and increasing competition. Execution risk in SATS’ various new ventures and investments, and market risk for TFK Japan, where, notwithstanding better performance in the current quarter, the market suffers from overcapacity. Currency risk as SATS derives c20% of revenues from overseas markets and this proportion is expected to grow in the coming years. That said, this is predominantly limited to translation risk for SGD group reporting as overseas operating entities’ revenues and costs are largely matched on the functional currencies of the respective entities.